1. Morgan Rufus MINK was born in Oct 1874 in Tennessee. He died about 1933. Morgan Rufus MINK and Carrie E. TESTERMAN were married on 3 Jan 1897 in Claiborne County, Tennessee. Carrie E. TESTERMAN was born Jan. 4, 1880 in Greene County, Tennessee. She died Apr. 23, 1926 in Grainger County, Tennessee. She was also known as Carrie Testament. i. Roy MINK was born March of 1898 in Tennessee. He died November 3 1971 in Springfield, Clark, Ohio. Morgan Rufus MINK and Dorothy L. BROWN were married in Nov 1920 in Knoxville, Knox, Tennessee. Dorothy L. BROWN was born about 1900 in Marlow, Anderson, Tennessee. She died before 1933.
i. William Morgan MINK EVANS was born on 16 April 1922 in Franklin County, Tennessee. He died on 6 June 1986 at the age of 64 in Tennessee. William Morgan Mink Evans and Edna Mae Radford were married on 20 December 1940 in Tennessee. 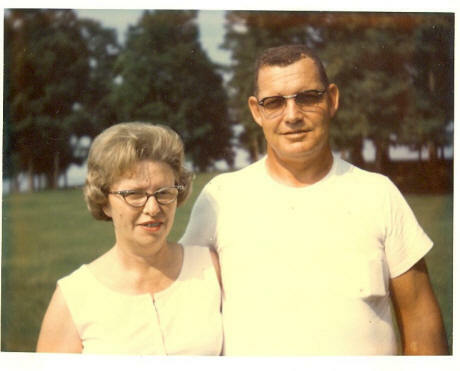 Edna Mae Radford was born on 10 July 1922 in Carroll County, Tennessee. She died on 4 April 2009 at the age of 86 in Carroll County, Tennessee. ii. Rhea Ernest MINK EVANS was born September 9, 1925. He died on 24 September 1981 at the age of 56 in Memphis, Shelby, Tennessee. William Morgan Mink Evans and Edna Mae Radford Evans. 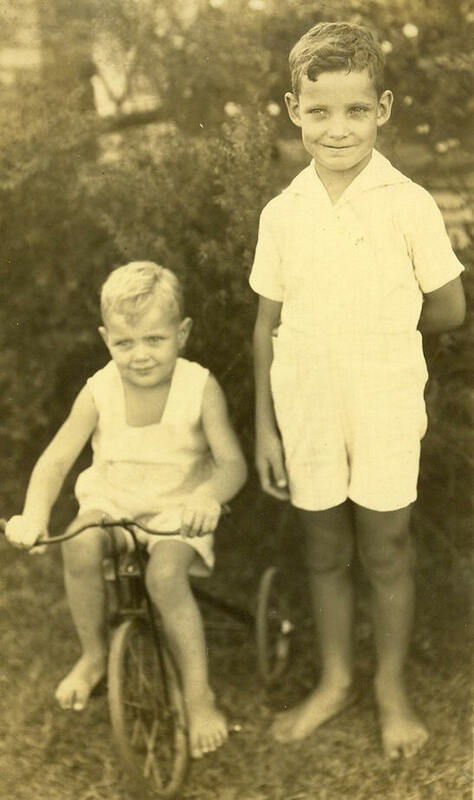 William Morgan Mink Evans with his brother Rhea Ernest Mink Evans while they were in the orphans home in Nashville.